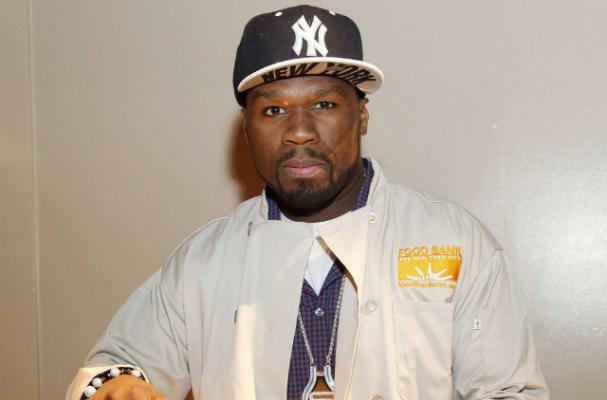 50 Cent spent some time giving back this Thanksgiving by helping serve hot meals to the hungry. The rapper teamed up with the Food Network, Feeding America and SMS Audio to make sure Sandy Victims and other's without food in New York City were able to have a warm Thanksgiving meal. The event, called 'Our Table Is Yours,' took place at Cipriani Restaurant in Manhattan. "I'm able to provide meals for victims of Sandy or other people in New York City that don't actually have food," 50 Cent told MTV. "Hunger's not a third world issue. It's a world issue. Within America one in six Americans actually go hungry. You've got more than one in five kids experiencing hunger or they're surviving on just their school lunch. More than 1,000 were able to get a hot meal thanks to the event. The were also given a second meal to take home and a gift card for home essentials. Through his partnership with SMS Audio, 50 Cent will provide 250 meals to Feeding America with every pair of headphones purchased on the website.